70 hours of recording on 2 MP3 CD's! 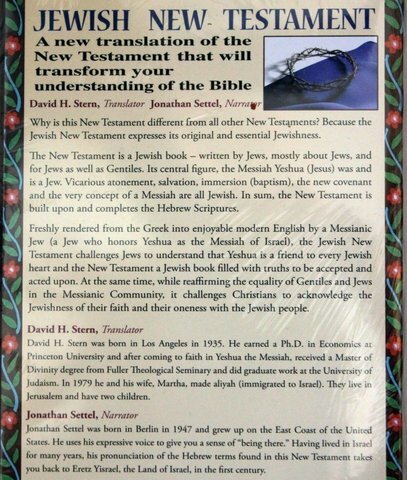 Narrated in English by Jonathan Settel - this is a fantastic translation by David H. Stern. His translation makes it easy to understand and raises your faith by a deeper revelation of God's Word. 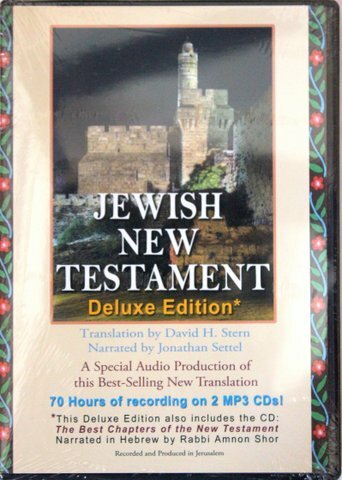 This Deluxe Edition also included the CD :The Best Chapters of the New Testament Narrated in Hebrew by Rabbi Amnon Shor.